This is a lift from her interview, “Model Behavior”. 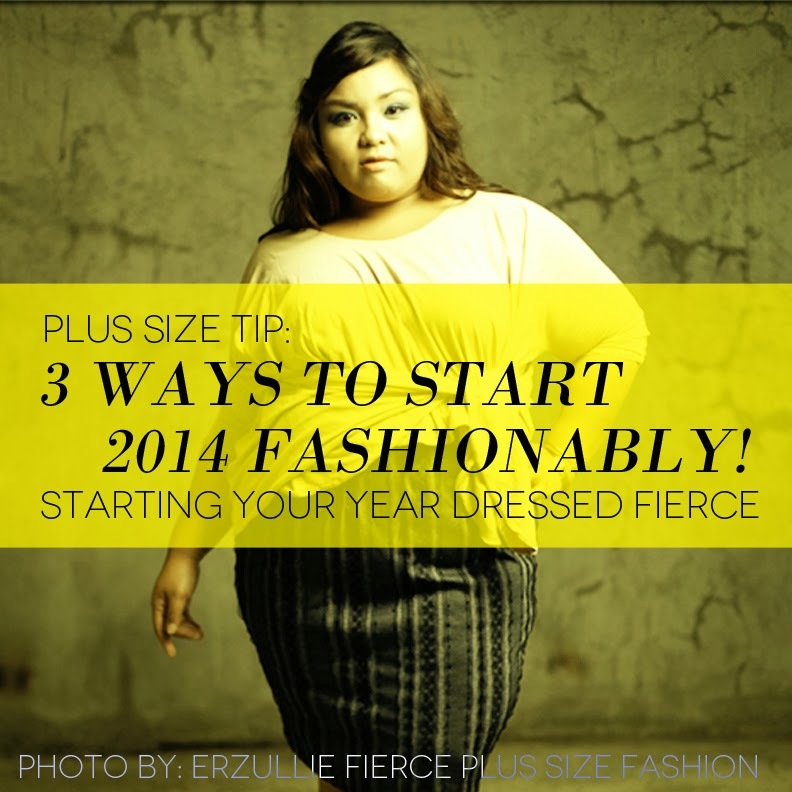 PLUS SIZE TIP: 3 WAYS TO START 2014 FASHIONABLY! They say how the first day of your year starts that is going to be the base energy for the rest of your year, so why not start with dressing it up? Here are 3 ways! #1 Dress for the future that you want to accomplish this year. Shake up your style. Past is past and we have this wonderful opportunity to shape our future. Why not start by dressing up for the future that you want to be this year? Not only is this style palette cleansing, but also a great way to frame your mind of your goals this year. #2 Bring out that shoe that you have been saving for special occasion. Although every day is an Erzulliesta’s special occasion, it doesn’t hurt to make the 1st day of the year extra special! Dish out that shoe that you have always wanted to wear but never did (for the lack of events or something else) and plan your outfit from that. It’s the first day of the year! Dress like you are the most powerful plus size woman in the world (and you are --- you can even recognize your equals!) and the world will recognize it! The first day is a special day for a reason --- it’s because it’s another great opportunity to be an Erzulliesta!